Earlier this year I took my second trip to Ghent in Belgium and had an incredible day exploring all the things to do in Ghent. This trip was part of my weekender with WowTrip which was a surprise weekend away (you can read my WowTrip review here) and we ended up in beautiful Brussels. We spend one day in Brussels, one in Bruges and one day in Ghent and I can’t recommend a weekend trip like this enough. We saw SO much and I really felt like we had 3 mini holidays in one. Belgium is a beautiful country and this is a great way to see very different Belgian cities. The port city of Ghent can sometimes be overlooked by travellers to Belgium, in favour of the bigger or better-known cities, like Brussels or Bruges. But that’s part of what makes this the perfect city to visit: it’s not so well known (which means there are fewer tourists) but Ghent has got just as much – if not more – to offer than some of its neighbours. 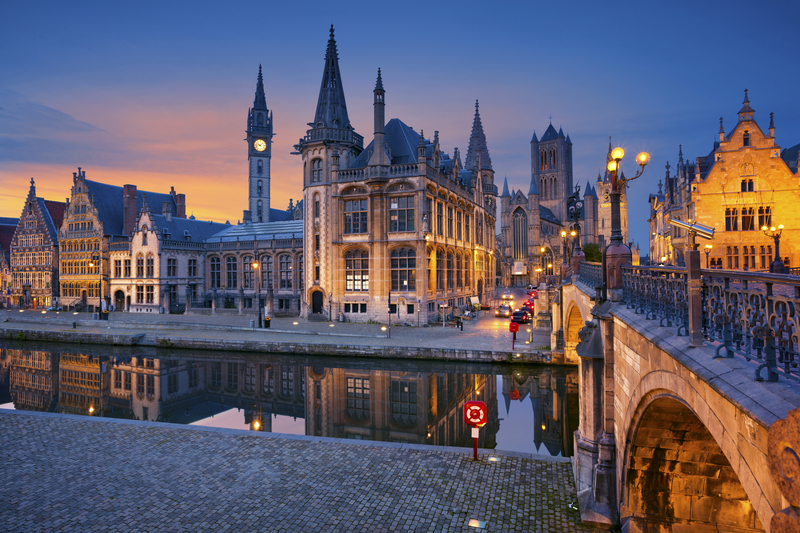 With a medieval old town, charming canals, vibrant nightlife, gritty street art and plenty of great food and drink to keep you satisfied, Ghent is an incredible city to visit, and should definitely not be underestimated as a city break destination. 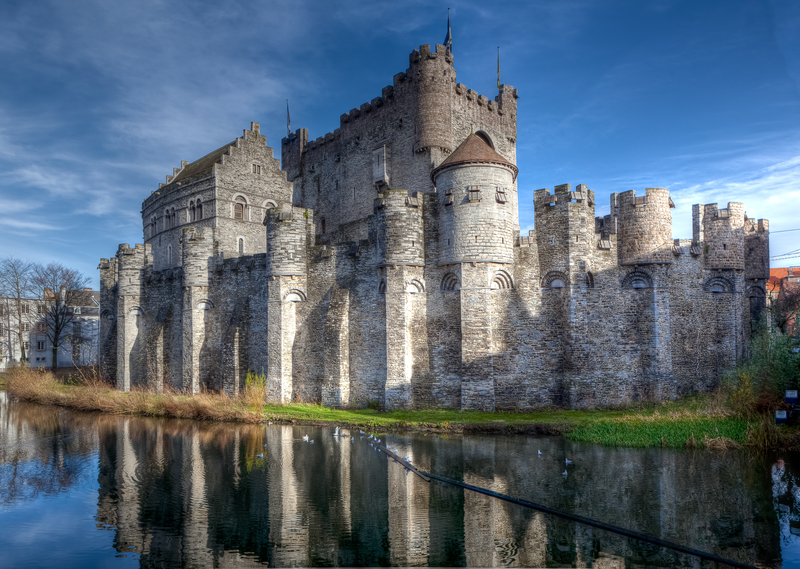 Probably the most famous of all the things to do in Ghent, the stunning medieval ‘castle of the count’ comes complete with its own moat, defensive walls and an incredible 24 towers. The imposing structure looks like it’s sprung straight from the pages of a fairytale, and its sometimes gruesome history reads like fiction, too. Visitors can explore the ramparts, the count’s residence and the stables, and you can even peek inside the torture museum…if you dare! There’s no better way to truly get under the skin of a destination than to taste some of its local specialties. In Ghent, that’s kroakemandels, which are usually eaten during the city’s festivals, but which can be found year-round as bar snacks in some pubs. Kroakemandels are basically deep fried peas, covered in salt and served in a cone. It sounds simple, but it actually takes a fair amount of preparation – 48 hours, to be precise. If you’re in Ghent on a Saturday, find the city’s best kroakemandels at Café Folklore, which is famous for this local specialty. You can’t visit Ghent without noticing the 89-metre tall Gothic tower in the middle of the city. That’s St. Bavo’s Cathedral, Ghent’s oldest parish church, which is known for its rich history and incredible art. The most famous piece is called The Adoration of the Mystic Lamb by Jan Van Eyck, which is also sometimes called the Ghent Altarpiece. It’s made up of multiple panels, each depicting a Biblical figure in the most incredible detail. It’s breathtaking, as is the interior of this cathedral, so don’t miss it when you’re in the city. No matter when you visit Ghent, you’ll find flower stalls lining the edges of this square, but Sundays are when the flower market are in full swing. There’s live music, food and drinks (namely, klapke: an oyster with a glass of wine), and of course, bursts of colourful blooms everywhere you look. It’s the perfect way to start a Sunday, and from here you can carry on and explore all the other things to do in Ghent. Although Ghent is known for its beautiful medieval architecture, it’s got a gritty side to it, too, with loads of street art to be found if you know where to look. The best way to see as much of it as you can is to take a tour with someone who knows where all of the pieces are hidden. But whether you take a tour or do it yourself, you’re likely to end up in Werregarenstraatje, which is a giant public canvas for artists like Roa and Bué the Warrior, or for aspiring artists who want to leave their mark. Pick up a street art map, take a cycle tour or walk around Ghent with a guide to see the best of the city’s vibrant street art. The tallest belfry tower in Ghent, at 91 metres high, is the Ghent Belfry, one of three medieval towers in the city. Visitors can climb to the top of the tower to enjoy an amazing panoramic view over Ghent, and along the way you can discover some of the building’s history, including previous bells and dragons who have perched at the top of the tower. The canals of Ghent are picturesque and charming, especially when you’re travelling along them. 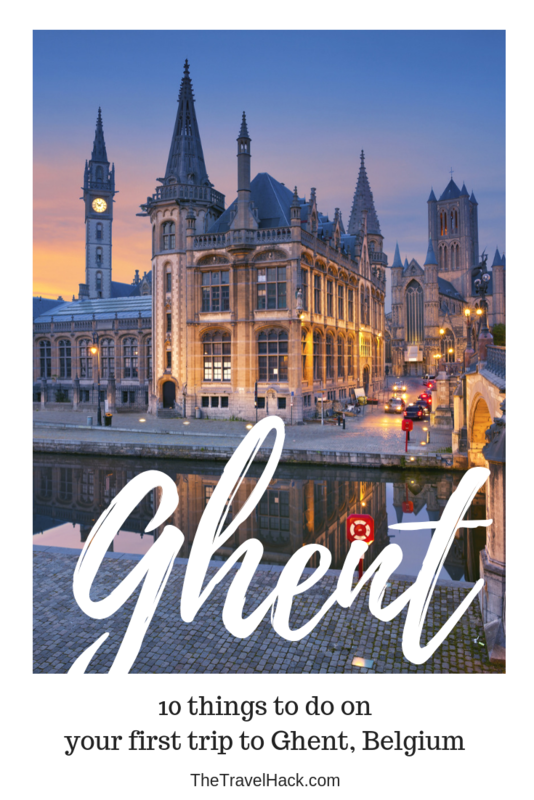 Take a boat trip through Ghent to experience the city from a different angle, and learn about the destination’s history and its residents’ stories from your on-board guide. It’s a great way to see some of the major sights, get your bearings, or just sit back, relax, and watch the stunning city slip past you. Here’s a historical 40-minute boat tour of Ghent city centre you can book online for just £6.79. You can queue up and pay when you arrive too but I quite like having additional activities like this paid for in advance to make it easier to keep track of expenses. Ghent is one of those rare cities that’s just as beautiful at night as it is during the day. The city has worked hard to light up some of the most intricate buildings so that every detail can be seen, no matter how late it is. As well as illuminated buildings, there are light displays on streets and in squares across the city. Take a walking tour to see some of the best illuminations, which are so impressive that Ghent has won awards for it. And every three years, the place goes all out for the festival of light – when the whole city can be viewed, quite literally, in an entirely new light! In a city with lots of pretty little corners, Patershol might just be the prettiest of the lot – or at least, the tastiest! It’s full of historic beauty, with architecture that’s centuries old, and cobbled streets that look like they’re just too good to be true. But the real gem here is the area’s culinary scene. Whatever food you’re looking for, you’re bound to find it here in Patershal, where cafes and restaurants and bars line the quaint streets, most of which are pleasantly affordable. Stroll around the area to admire the buildings, then stop for a drink or a meal with a side of excellent people-watching. 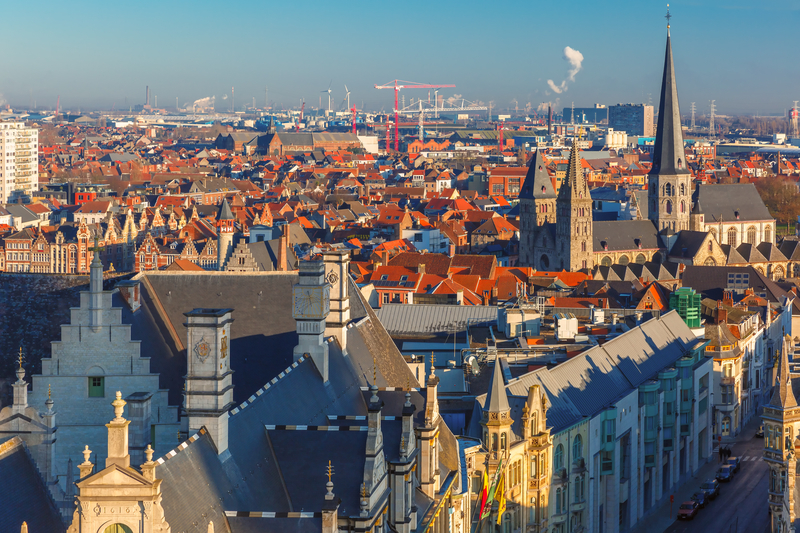 There’s no chance you’ll run out of things to do in Ghent, but if you do fancy seeing something more, there are a number of amazing cities just a stone’s throw away. 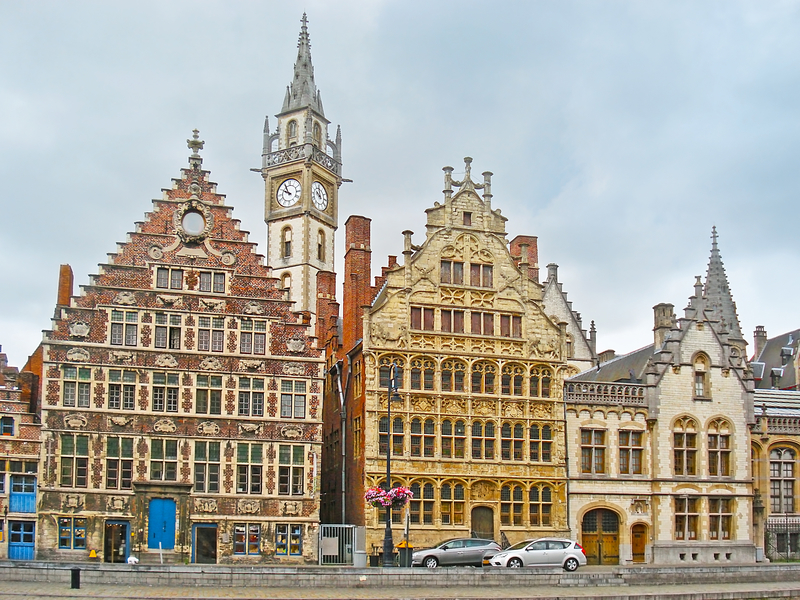 Bruges, Antwerp (pictured above) and Brussels are all easy to reach, and each one offers something unusual and memorable to explore – but there are plenty of other fantastic options that you can easily enjoy in just a day. So don’t be scared to get outside the city and see something new…you never know what you might find! 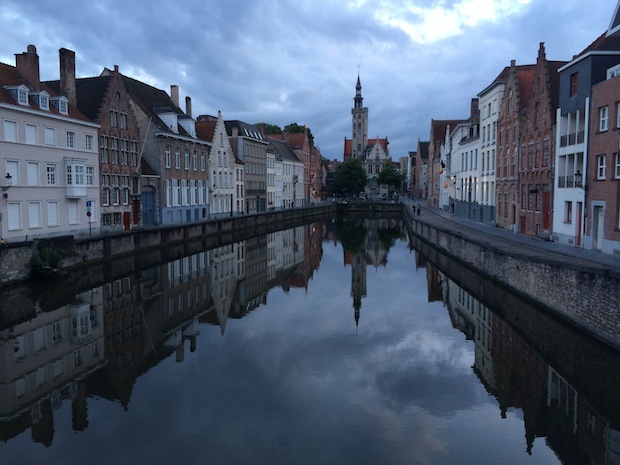 These were 10 of my favourite things to do in Ghent. Do you have any more to add to the list? Staying in a pop-up hotel around Ghent’s clock tower! Ghent is my favourite too, actually a lot more than Bruges or Brussels 🙂 I’ve been twice and can’t wait to go back! I really enjoy the town’s vibe.